It’s been a while since we’ve had a key incident. And, when I say “we,” I mean my beloved. At Christmas time I often make biscuits, cookies, truffles, Christmas cakes and brownies to give as presents or to offer to unexpected guests who pop in during the Festive Season. As a result, there’s usually the warm and comforting fug of baking all around the apartment. Saturday afternoon, we drove round to friends for an unanticipated pre-Christmas high tea. We parked the car in my usual spot near their apartment that only fits SMART cars and, laden with parcels of baked goodies and presents, headed inside where we passed several enjoyable hours catching up with a number of friends, most of whom were heading back to parental homes for either Christmas or New Year. My baked offerings were well received, some of which I had made specifically to be taken home to their parents for Christmas. A number of the other guests had newly returned from their teams’ first training camps and were already in restraint mode in anticipation of the forthcoming cycling season. I’m always amused when professional cyclists initially refuse my wares on account of weight-maintenance. They’ll then unobtrusively cut a piece of cake in half and eat first the one half and, a few minutes later, the other. A technique they’ll use to taste all of the cakes and cookies, at least once. I had taken round some of my race winning brownies so it was understandable they were keen to tuck in but I’m not sure the benefits will last until the Europe Tour season opener, the GP Marseillaise. In no time at all, the guests had reduced the brimming plates to the odd crumb or two. One of my friends’ adorable sons, a notoriously picky eater, single-handedly polished off four brownies. I was impressed, these are seriously dark, rich, sticky and typically adult only. 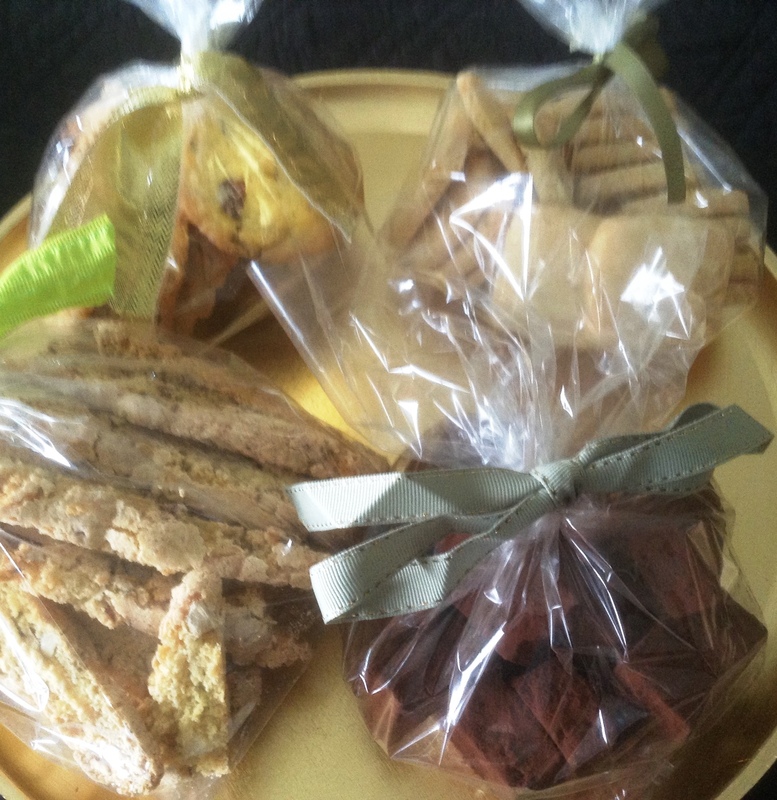 He passed on the truffles but dug into the cookies, particularly the hazelnut and chocolate caramel ones. Before taking our leave, we popped down to our friends’ cave to pick up some brochures. At which point my beloved asked me for the car keys. I replied that he hadn’t given me the keys. I usually take them off him as soon as we park up, but my hands had been full of parcels, so hadn’t taken possession of them. We returned to the flat, where I emptied my handbag – no car keys! My beloved checked he hadn’t left them in the car. He hadn’t. At which point, we were inundated with offers of lifts to fetch our spare set of keys. Whenever my beloved loses anything, I attempt to re-trace his steps. This typically helps us locate the item in question. He had entered the flat and taken off his shoes. Had he left the keys on the shelf? No! He had played with our friends’ children. Were they on the floor or down the side of the sofa? No! Were they on the coffee or dinner tables? No! En route to the car, we had gone down to the cave. Had he put the keys down in the cave? Yes! I know, you guys are all the same but it’s not much consolation for us gals!